Maison Ikkoku is a romanic comedy series created by Rumiko Takahashi. The story centers around the development of the relationship between Kyoko Otonashi and Yusaku Godai. 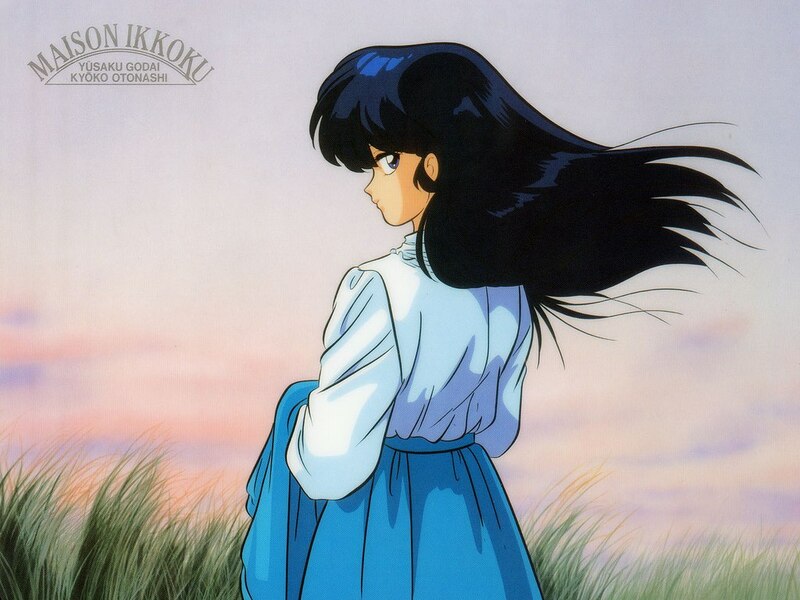 Kyoko is a recent widow who moves into the apartment house Ikkoku-kan where she becomes the manager. Godai is a wanna-be student (“ronin”) struggling with college entrance exams. When they meet, it’s love at first sight—for Godai anyway. Along the way, the other tentants, the mysterious Yotsuya, the seemingly alcoholic Ichinose, and the brash Akemi, watch and occasionally take part to make their lives more interesting. To complicate matters further, the wealthy tennis coach Shun Mitaka has his eye on Kyoko, while Godai is pursued by both Nanao Kozue and Ibuki Yagami. Covering a wide range of emotions from hysterically funny to painfully sad, Maison Ikkoku—all 96 episodes—is well worth seeing.